0 packages upgraded, 19 newly installed, 0 to remove and 0 not upgraded. Need to get 8110kB of archives. After unpacking 15.5MB will be used. This also includes KDE4 packages. You’ll want to be careful with this repo, that you don’t pull in and install too many (possibly breaking) packages from it. The big thing for me is do they work with Linux (for me specifically Debian or Ubuntu). And with the T400 you’ll have some work to get everything working smoothy. Such as the dual-graphics cards which is how Lenovo get’s up to 10 hours of battery life from the T400. However, if you don’t mind using breaking stuff, the new Beta version of Ubuntu appears to work reasonably well on the T400. See this blog posting and this thead on Lenova’s forums for more details. I’m torn between either, the small size of the U330, versus the better battery life of the T400 (and the fact that both are a weeeeee bit dear). This will also require you to have Debian’s unstable branch listed in your sources.list . And this should install E17! Logout and select Enlightenment from the session list of your login manager. I’ll update this post with more details later in the week or at the weekend. The Debian E17 team are in the process of loading packages into Debian experimental branch and they should be available in the near (or not so near) future. Use the AlphafeMini repository for Debian Sid/Unstable, created by Falko Schmidt. See http://xsm.alphagemini.org/E17/repository/ for more details. Maybe use Elive’s repositories to install E17 as Elive is based on Debian, but this may cause other problems as Elive might be based on a older version of Debian (anyone know?). Compile your own see http://www1.get-e.org/EFL_User_Guide/English/_pages/2.2.html for more details. But, you will have to uninstall these if you ever want to install a pre-packaged version, plus you’ll have to manually update packages yourself. Interestingly, Falko Schmidt is also a member of the team working on the E17 packages that are going into experimental, so using Falko’s packages might be the safest and easiest approach to get E17 on Debian. However, when packages are available in experimental (and eventually in Sid), you may need to purge Falko’s packages and install the Debian experimental ones. I’m going to e-mail Falko to see if he has an opinion on this. Ever since my original post on installing Enlightenment E17 on Debian and Ubuntu things have changed, such as the server that hosted the package repositories for both Debian & Ubuntu going off-line (supposedly temporarily but it’s been offline for almost 6 months). Also, I’ve been having issues with E17 working correctly on my laptop running Ubuntu. This is probably because of conflicts between old and new packages, and because E17 is still beta code. In this posting I’ll concentrate on installing or reinstalling E17 on Ubuntu 8.04 otherwise know as Hardy Heron. You should be able to use the same instructions to install E17 on other recent versions of Ubuntu. I’ll also try and the same for installing E17 on Debian at some point in the future. First, remove all existing traces of any previous E17 installs. You’ll notice that I’ll use a mixture of apt-get and aptitude to remove and install packages. I’ve found that sometimes aptitude is a little too aggressive in removing packages, and sometime will remove package that I need. For instance when I started to remove E17, aptitude also wanted to remove xserver-xorg which would mean X wouldn’t work (no GUI). You can use # to comment out lines. Remove any references to edevelop.org or soulmachine.net . You can replace hardy with either gutsy or feisty if your running either of those versions of Ubuntu. 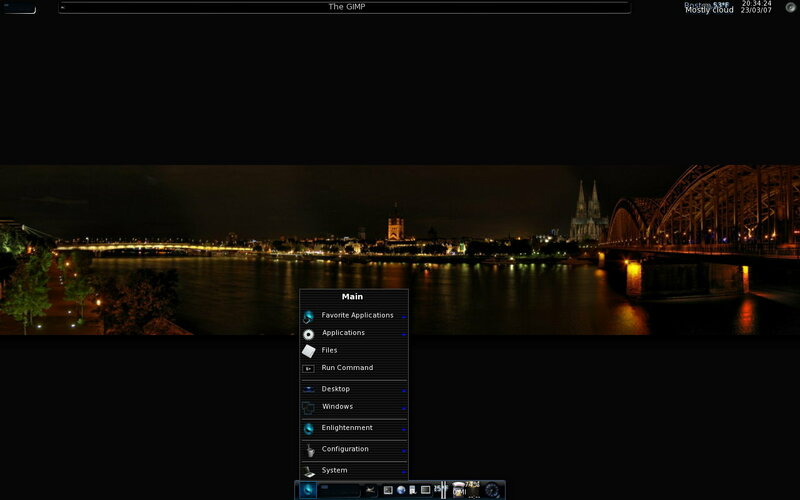 Or if you also want to play with a media player based on E17 libraries install eclair also. Sorry that screenshot is missing. I deleted it as someone was leeching the image by linking directly to the image from their blog (using up my bandwidth instead of theirs). I’ll upload a new image in the near future. 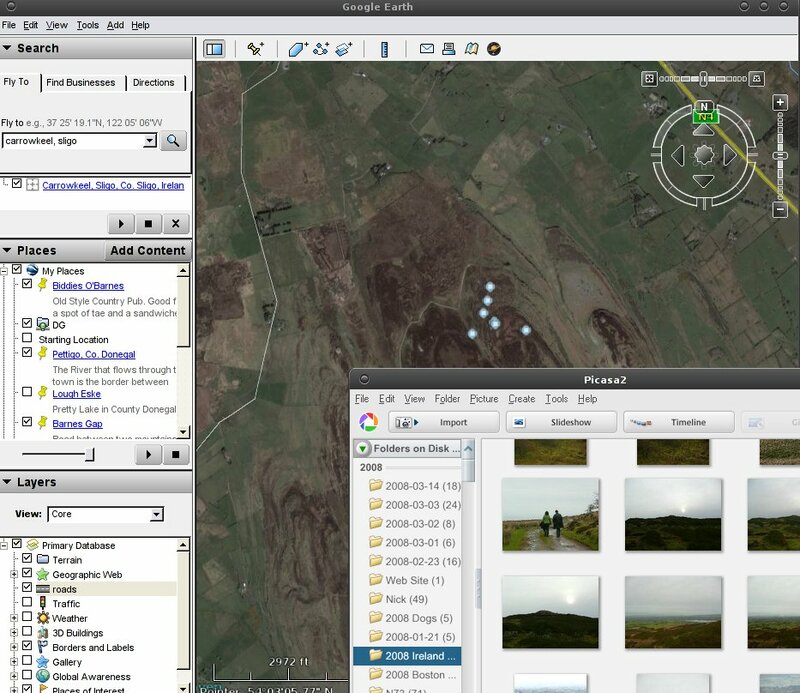 I’m not sure what software is in their repo besides Picasa, Google Earth might be there too, but I’ve been using the Debian package, googleearth-package, to install Google Earth. See http://www.google.com/linuxrepositories/ for instructions for other supported versions of Linux. So I wanted to install Eclipse at home, the version that comes with Debian is 3.2.2-5 and I wanted to try 3.3.x and install WTP and some other plugins that aren’t packaged with Debian (anyone know why?). This is because the default jvm or java executable on my system was one provided by gcj and for some reason Eclipse’s eclipse doesn’t seem to work properly with gcj (or I had a too old version), Debian’s 3.2.2 Eclipse packages seem to work fine with gcj. Gcj is an Open Source Java compiler provided by GNU. And change all the java tools to point to the ones that come with the Sun JVM. Alternatively, you can install galternatives which is an easy to use GUI tool to manage alternatives. Updated March 2008: Corrected misspellings, and grammatical mistakes. Ubuntu Linux, T-Mobile, & Nokia N73 as a Bluetooth Modem. If you have T-Mobile T-Zones Internet service for your phone in the US you should be able to use the following procedure to surf the web on your computer using your N73. If you have edited this file before and are already using rfcomm0, then create a new entry named rcomm1 and replace rcomm1 with any other references I make to rcomm0. Also, make sure you get all the semi-colons after each entry in the file. But, ssh & VPN won’t work, just web-browsing at dial-up speed! However, it might be possible to tunnel ssh and other services. I need to clean-up/rewrite this posting, and put in proper references to sites that helped me get this working.